The 2-Day VISA-Free Intensive Shore Tour is the most sght-saturated 2-Day St. Petersburg tour for cruise passengers we can offer: it includes all principal landmarks one may see in 2 days, and some exclusive options also - see them at the booking page! This Tour was created specially for active travelers. This Visa-Free tour includes visits to the most famous and significant sights and attractions of St. Petersburg and its surroundings. 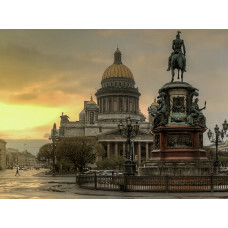 With the help of our proficient and friendly guide you will get a deeper understanding of Russian history and the role of St. Petersburg in it, you will get acquainted with great cultural heritage of our city and its modern way of life.